Now taking reservations for 2019 kids. See our kidding schedule page for more information and contact us with any questions! 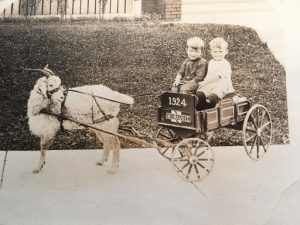 2019 Goat yoga schedule coming soon! Gift certificates available via contacting us. 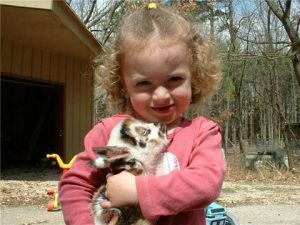 For 20 years we have been dedicated to raising top quality Nigerian Dwarf goats, mini donkeys, and other farm animals! We are a small farm located in Southeastern, Wisconsin. Our wonderful goats provide us the milk to hand make our natural soaps, body, and face care products! Please see our Serenity Soapworks Website to browse through all these wonderful products. Our products can also be found at various farmers markets. Web links below! Contact us a 262-492-4010 or abby@serenity-soapworks about our amazing pasture raised Chickens, Ducks, Geese, and Turkeys as well as eggs! Cat nap on a lazy Sunday afternoon! I came to be a goat owner in 1998 with my first goat Rudy, who was a pygmy buck. He came to live here to keep my Draft horse stallion (Jake) company. After two years of having him, I decided it would be fun to have some kids born here so my search began for a doe. It was harder to find a doe then I thought it would be until I stopped at our county fair and found a Nigerian breeder there. She had an absolutely gorgeous spotted doe for sale. She turned out to be a Nigerian who’s name was Abby. Well that did it she had to be mine!!! My mom got her as a B-day present for me. I fell in love with her and the breed so my search began for a Nigerian Dwarf buck! Abiygal is now over the rainbow bridge. You can see her on my reference does page. Abby is behind a lot of my breedings! She is sadly missed! Since goats are like potato chips and you can not have just one, we have grown! We have never had a CL abscess on our farm. We also have consistently tested negative for CAE and Johnes. I also take a holistic approach with all of my animals. Only using synthetic wormers and antibiotics when absolutely necessary. All of our birds are pasture raised. The only time they are locked up is at night once they have gone in to roost to protect them from predators. We have organic, pasture raised eggs for sale, as well as chicken, duck, turkey, and goose meat upon request. Raw honey. It is best to put your order in early! Visit our birds page to learn more. 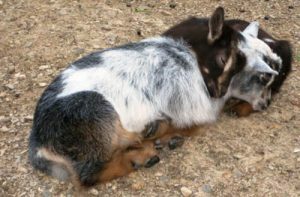 Every Spring and Summer we have our quality Nigerian Dwarf Dairy goats kids for sale. Check out our For sales page. We do occasionally have senior animals for sale. So check back or contact me on animals of interest! We hope you enjoy your visit here! Please feel free to e-mail or call with any questions you may have! Also, if you would just like to chat about animals or plants!